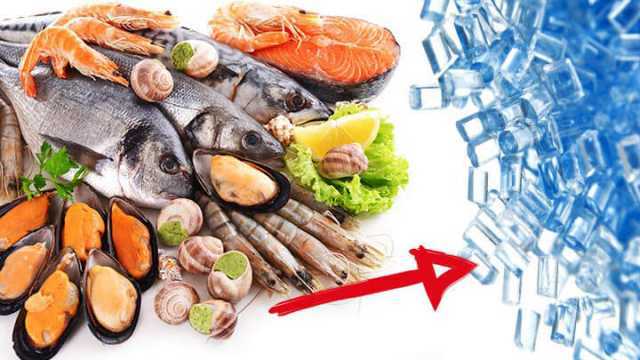 Researchers at the University of Ghent in Belgium found that seafood eaters are consuming plastic at a concerning rate. While we are able to pass 99 percent of the plastic in our bodies, researchers have confirmed that some of it becomes embedded in human tissue. “Per serving of mussels, which contains about 300 grams of mussel meat, you get 300 pieces of plastic inside your body,” researchers wrote. For now, that may not seem like much. But by the end of the century, it’s possible that as many of 4,000 tiny pieces of plastic will accumulate in the human body every year. Have you ever washed your face with an exfoliating scrub and it contained tiny beads to help remove dead skin? That’s one example of microplastic. It’s also commonly found in personal hygiene products like toothpaste, shampoos, scrubs, cleaners and more. Microplastic is also created for our synthetic clothing and it’s even been found in odd places, like sea salt from China. Fortunately, microbeads were banned by former president Barack Obama in the “Microbead-Free Waters Act of 2015.” According to the ban, manufacturers have until summer of 2017 to remove microplastic from products. Microplastic can also be created when bigger forms of plastic — straws, toys, water bottles — get worn down in the ocean and separate into smaller pieces. By the time it gets into the stomachs of fish, microplastic may be the same size as algae, less than 5 millimeters in length. How does microplastic impact marine life? While we don’t know what microplastic does yet to humans, we do know what it does to marine life — and it’s not good. In prior studies, scientists have found that when fish eat microplastics, it stunts their growth and alters their feeding patterns. In fact, fish will stop eating natural sources of nutrients, like the all-powerful zooplankton, and only go for plastic. Talk about unnatural. Additionally, in the same study of European perch larvae, researchers found that microplastic in the water caused 15 percent fewer fish to hatch. And of those fish that did hatch, there was a higher rate of mortality and inability to escape predators. Indeed, something very fishy is going on here. While studying oysters, researchers at the French Institute for the Exploitation of the Sea found that microplastic negatively impacted digestion and reproduction. When oysters were fed microplastic, the chemicals leached out. These “endocrine disruptors” lead to increased cancer risk and reduced fertility. In fact, male oysters had slower swimming sperm and females produced fewer and smaller eggs. All in all, their ability to reproduce was cut in half. Yikes! When you’re done using plastic, a small portion may be recycled. However, more than likely it’s in a landfill or making its way towards the ocean. Once trash hits the water, sea creatures may mistake it for food. This often leads to poisoning, organ rupture or death. If the marine animal gets caught for human consumption, the plastic may very well make its way back to you — on your dinner plate. Right now there are five trillion pieces of microplastic in our seas. That’s not including the large trash items and plastic waste easily visible in the water. 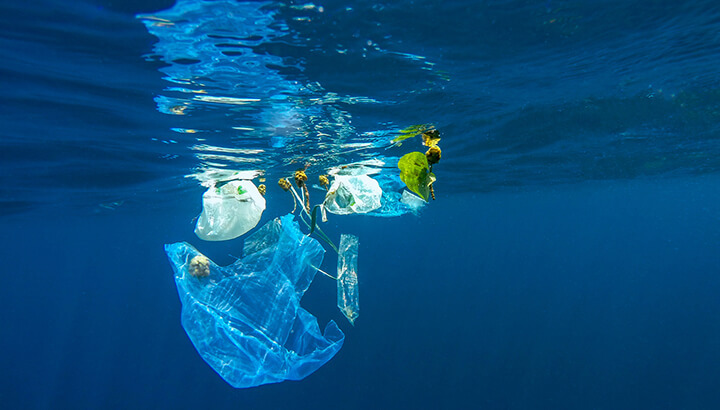 According to a study published in Science magazine, eight million tons of plastic go into our waterways every year. The problem is so serious that scientists say that by 2050 the weight of plastic in our oceans will outweigh fish. Sadly, the vast majority is single-use plastic. And just because it’s out of sight, doesn’t mean it should be out of mind. Right now, ocean currents are sending plastic and trash to the Great Pacific Garbage Patch, which is twice the size of Texas. This collection of plastic and trash is exactly what it sounds like, and it sits in the middle of the ocean between Asia and North America. Stop buying plastic water bottles — invest in an at-home filter instead. Refrain from eating processed foods wrapped or packaged in plastic. Avoid using plastic bags and switch to reusable bags at the store. Stop buying plastic toys for kids and choose wood products instead. Skip products that contain microbeads by using this app. Support companies that make products out of recycled ocean plastic, like Adidas. Cut six-pack beer rings in half so that marine life can’t get tangled in them. Better yet, support Saltwater Brewery, who made edible plastic rings that can feed ocean animals. Never leave trash or plastic behind at the beach or other waterways. Always bring reusable bags to pick up your stuff before you leave. If you see trash at the beach, pick it up. This prevents the changing tide from bringing it back into the water, where it could harm fish, birds and other marine life. Organize a beach cleanup in your local community. Put pressure on companies to change their packaging standards. Donate to groups working on the plastic problem, like this list of organizations. Educate yourself by watching the “A Plastic Ocean” documentary. You are empowered to make a difference with your choices every day. Even small changes will add up. While your salmon dinner may contain microplastic, you can help prevent the future generations from having that same problem. Hey Buddy!, I found this information for you: "Eat Seafood? You’re Ingesting 11,000 Pieces Of Plastic Every Year". Here is the website link: https://www.thealternativedaily.com/seafood-contains-microplastic/. Thank you.